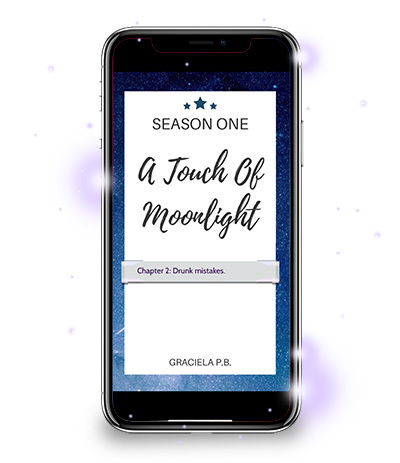 Tuesday Cross’s review of Episode Interactive story ‘A Touch of Moonlight’ by Graciela P.B. 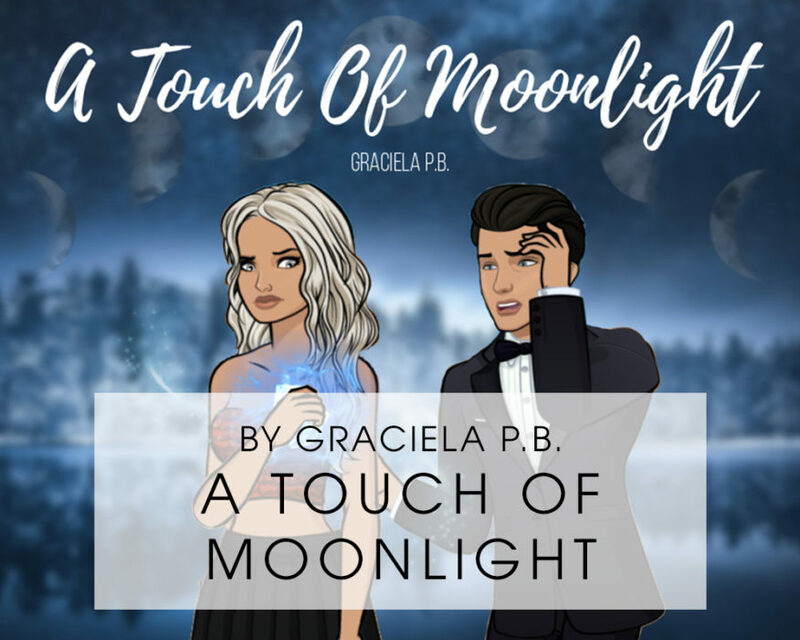 ‘A Touch of Moonlight’ is a story of self-discovery and acceptance, set in a fantastical world. Aileen is a seventeen years old living in The Seven Kingdoms, a place where magic exists. Adopted and forced to go to a magical school, she tries to hide her powers while dealing with school, problems and boys. Aileen’s biggest dream; to master her water magic, But how can she master it if she has to keep it hidden? From the first few lines of episode one, the reader gets an overwhelming sense of a large, mysterious story at play. We’re presented with questions about the war, the seven kingdoms, and the identity of our main character’s mysterious mother. While many of the questions the story poses in the reader’s mind are positive and dramatic, the plot looses a star due to some more questionable points. 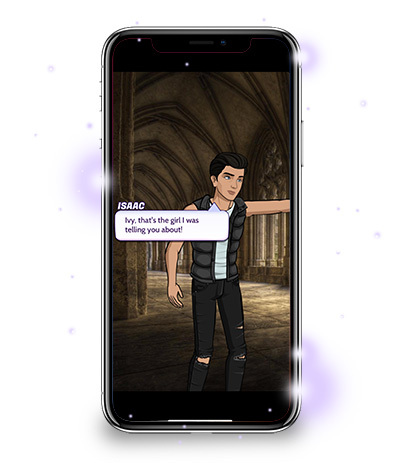 For instance, the story is hinged on our main character, Aileen, hiding her ability to do water magic because it will reveal the fact she is adopted. Her adoptive mother explains that she must keep this secret, so that they may pass their legacy down to Aileen. What does it mean? Why is it a big enough problem to warrant disguising her magic? Why not just lie and say the mother has a distant cousin who can do water magic? Besides the above point, the plot is smooth and well thought out– a thrilling, magical ride. Wowzers! I’m awarding Graciela 10 whole awesome points for her deft use of overlays, zooms, and spot directing. She obviously has quite the knack, and a natural eye for movement within a scene. If you’re craving an Episode fantasy with amazing directing– you need to read this story! I appreciated how, at the end of episode 1, my bad-boy Isaac swooped back into my life. However, it wasn’t the sort of exciting, gripping cliffhanger that I love to see at the end of a story’s opening episode. As a whole, I found the dialogue to be very smooth and natural. At times, the characters tend to over-explain history, or what is happening in a scene– but this can be difficult to avoid. The cast is varied, all from different backgrounds with different goals and interests. ‘A Touch of Moonlight’ only looses a star because, at times, some of the minor characters appear simply to advance the plot and loose a touch of their dimension. At the end of the day, I’ve really enjoyed reading ‘A Touch of Moonlight’ ! From the excellent directing to the imaginative story, it’s obvious Graciela has a gift for fantasy. I would recommend this to fans of magic-school based stories!